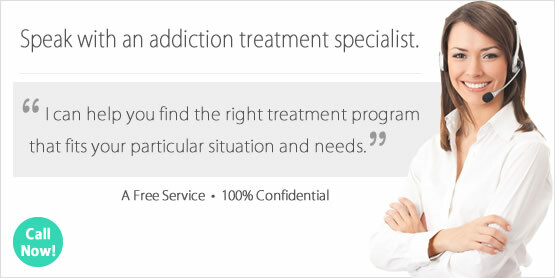 Looking for a Drug Rehab and Alcohol Rehabilitation Program in Mississippi? Drug Rehab in Mississippi can improve a resident's quality of life who has been struggling with any type of drug or alcohol addiction, but it also saves lives. So don't wait until it is too late to get help in Mississippi, and find a quality drug rehab program for yourself or a loved one which can begin the healing process today. No matter what your concerns are, the first step is to speak with a drug treatment counselor in Mississippi at a drug rehab program that can walk you through the process. Logistics will fall into place once you determine which drug rehab program is most appropriate for yourself or a loved one. Drug treatment professional can help convene an intervention if this is necessary, and help determine the best way to pay for rehab. So make the first step today by contacting a drug treatment professional in Mississippi right now. In 2013, 6,546 individuals in Mississippi were enrolled in some type of substance use treatment in the state. Alcohol, marijuana, amphetamines and opiates including heroin and prescription pain killers are the primary problems in terms of substance abuse in Mississippi according to treatment admissions. Not only is alcohol one of the most significant drug problems in Mississippi, but so is the poly-drug abuse problem in the state associated with alcohol and a secondary drug. Just about as many clients are in treatment for alcohol only as are in treatment for alcohol and a secondary drug. Because the alcohol is a primary drug of concern in the state, and the poly-drug abuse problem involving alcohol is just as significant, drug rehab programs in Mississippi which provide alcohol treatment must provide a fully integrated and comprehensive approach to really work. Alcohol can be an even more insidious drug problem than illicit drugs, because of the fact that abuse of alcohol is so socially acceptable. Alcohol treatment in Mississippi when provided in the most appropriate environment and format breaks down the boundaries to recovery by exposing these inexcusable norms that cause so much damage in people's lives, and indoctrinates clients so they can see more clearly what lifestyle changes they need to make so they can be sober. This is best accomplished in an inpatient or residential facility which provides alcohol treatment in Mississippi, where safe detox is also possible. There are about 100 drug rehab programs in the state of Mississippi, and around 70% of these programs provide outpatient treatment. Over 4,400 of the total 6,546 clients in any type of treatment in Mississippi are participating in the least aggressive treatment available in the state, regular outpatient. There are 38 facilities which provide more intensive outpatient services, and 27 which provide day treatment/partial hospitalization. Even though the opiate abuse problem in quite significant in Mississippi, there are only 5 facilities which provide opiate maintenance services, and are facilities which administer methadone or buprenorphine to clients who are opiate dependent. There is an upside to this however, as alternative to opiate maintenance services give opiate dependent individuals hope for a completely drug free life. For clients who are opiate dependent or likely heavily dependent to some other highly addictive drug, there are 36 residential non-hospital facilities and 15 hospital inpatient facilities which provide far more aggressive and intensive treatment than any outpatient program in the state could offer and are most suitable in these instances. What does Inpatient Rehab in Mississippi Involve? In Mississippi, 24 of the residential non-hospital treatment facilities provide short-term 30-day treatment and 34 provide long-term treatment. There are also 15 hospital inpatient facilities in Mississippi which provide both short and long term treatment options. In either situation, clients can count on a safe detox if they haven't already been detoxed, and a thorough assessment of their current physical and mental health as well as their drug history to determine the best course of action. These facilities are drug and distraction free, providing the best possible case scenario for clients who have chronic drug and alcohol problems. In many cases, outpatient treatment and short-term treatment hasn't worked for such clients in the past, making long-term inpatient or residential treatment the most appropriate next step. Clients in long-term inpatient or residential treatment in Mississippi participate in treatment plans which may include individual and group substance abuse therapy and counseling, cognitive behavioral therapy, holistic treatment, and steps to address a dual-diagnosis if it is determined that the individual needs to address a co-occurring mental health disorder. What does Outpatient Rehab in Mississippi Involve? In regular outpatient treatment in Mississippi, individuals can expect to receive traditional counseling and therapy services, particularly those which base their methodology off of the 12-step approach. Some of the more intensive programs provide additional services such as dual diagnosis treatment, and outpatient treatment can take place as often as one day per week, or every day depending on the treatment program chosen and what is accessible to each client. There are alternatives to programs which provide treatment based off 12-step, such as programs which incorporate alternative therapies and holistic treatment.